Start small so that you can build your confidence, just the way you would if you were learning any other new skill, such as playing a game for the first time. Choose a minor issue to work with at first, perhaps someone cutting you off in traffic, or other slightly hurtful or angering thing that has happened. Fill yourself with kindness toward yourself. As this may be difficult to do, try bringing up physical memories of warm feelings you’ve had when you showed kindness to someone or vice versa. It may also help to picture yourself as a young child, saying words like, “poor thing” towards your hurt self. Kindness towards ourselves is extremely healing. First, breathe into the belly. 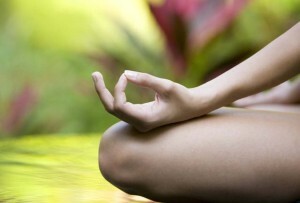 The belly is the geographical center of the body, and becoming aware of the breath in the belly is centering. It activates the calming parasympathetic nervous system. Tune in to this experience, being with the ebb and flow of the breath, a wave of oxygen cleansing every cell of the body: toes, fingers, scalp, bone, organs. There is no work to do; just notice. Observe your body breathing for a minute or two. Now tune in to the bodily sensations related to the hurt or other difficult feeling, perhaps a lump in the throat, pain in the heart area, or tension in the shoulders or chest. Bring normal breaths to this area of discomfort, and intentionally breathe into it. Bring curiosity and compassion to the area, and observe. This is a moment of suffering. You may want to place your hand at this place to comfort it. If any criticism or judgment arises, notice that too, and see if you can send kindness to it. Drop any goals; especially don’t try to make the unpleasant emotions and physical sensations go away. What we resist persists. When the mind inevitably jumps in, ask it kindly to step aside so that you can return to simply to observing the breath and this hurting area of the body. Then just notice the sensations as you breathe into them. Be aware of tiny changes; small is significant. Finally, be extraordinarily kind to yourself for doing this. Success is simply stepping back and observing, so you’ve already done an A+ job!